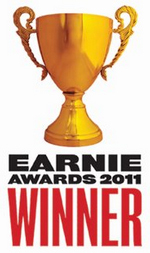 On Monday, October 3, Earnshaw's magazine announced 2011 Earnie Award winners at the 34th Annual Earnie Awards at ENK Children's Club in New York City. Nearly 200 guests and industry professionals attended the event to applaud 17 chosen companies and watch adorable pint-sized models show off the looks from award winners. 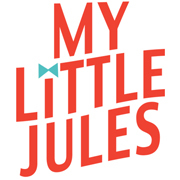 My Little Jules kids clothing boutique would like to congratulate all Earnie Award winners and is proud to say that we carry three of the winning brands and will be adding a few more in spring 2012. Please salute these amazing three brands proudly carried by My Little Jules.